We’re making the most of the warmer days and lighter nights with a new menu of Great British dishes to celebrate Spring’s best produce. 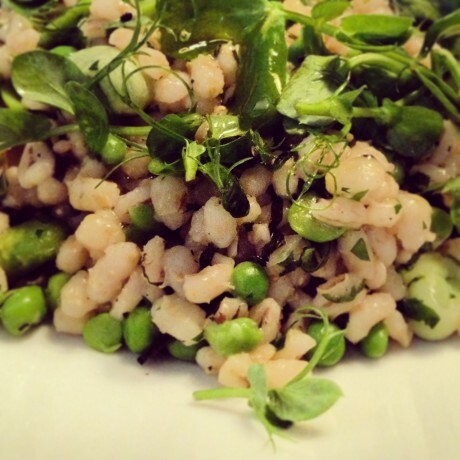 Seasonal classics such as our broad beans, peas, mint and pearl barley return, ready to be served up alongside fresh delights like our slow cooked shoulder of lamb stew. Favourites from our specials board are also leaping onto our all day menu this season. So now you can tuck into our 450g T-bone whenever you fancy a big juicy steak, or satisfy your sweet tooth with our gingerbread, vanilla ice cream and caramel sauce. As with all of Canteen’s menus, you know that when you visit us this Spring you’ll enjoy honest seasonal food that’s nationally sourced, skillfully prepared and reasonably priced.